All TERRAMAR PARCEL 13 homes currently listed for sale in Peoria as of 04/23/2019 are shown below. You can change the search criteria at any time by pressing the 'Change Search' button below. "**REDUCED** priced to sell, TURN KEY, 5 full bedrooms +Loft +Bonus Room, your buyers will LOVE the added storage provided by the recently renovated ''mud room'' ,You are greeted at the front door by the Beautiful Stone accents, Paver Front Porch, & Stunning Staircase. 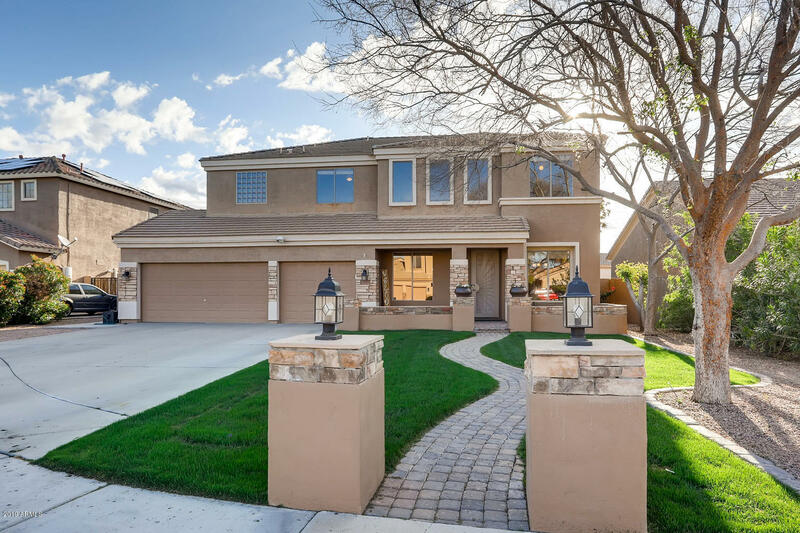 Lush Green Grass in Front & Back, Oversized 3 car garage, with Built In Storage, Backyard is an entertainers dream with refreshing pool & the landscape provides privacy. Oversized Kitchen with STAINLESS STEEL APPLIANCES & an abu"